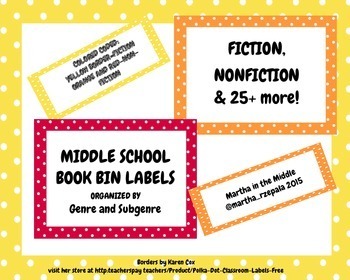 Organize your MIDDLE school library with these color coded book bin labels. 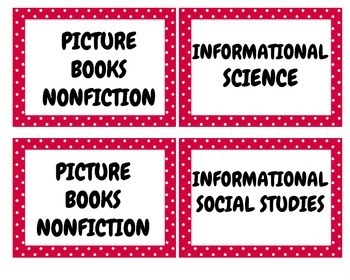 Over 25 genres and subgenres make it easy for you to organize your library for your students. 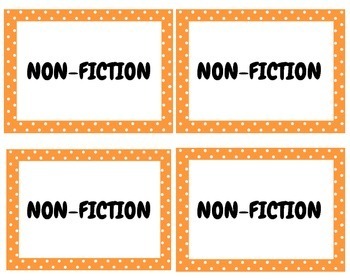 Borders are color coded for the 2 major genres: Yellow borders are for FICTION genres; while, orange and red borders are for NONFICTION genres. $ SAVING TIP: I use the velcro squares/dots and cut them in half to attach to the plastic bins. 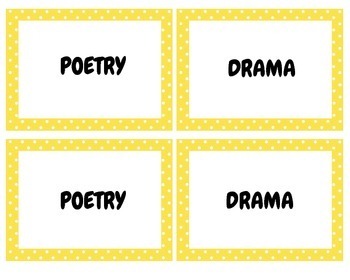 ADDED BONUS: Email me if you would like me to make personalized genres/subgenres.